This eBook features the story of a fox, named Bubu and his desire to meet powerful animals. 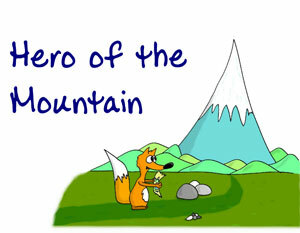 Bubu, the fox was awaiting for the contest Hero of the Mountain! He was eagerly waiting to meet the world’s most powerful animals in the competition and participate in the same. He made good preparations to meet the powerful heroes and even carefully studied the map. The contest would be held in a mountain and Bubu prepared himself for a very long trip. He didn’t sleep the whole night, just thinking about the next day contest. Even in the morning he woke-up so early and told his mom about contenting with other animals. His mom asked him to return back before dinner. Bubu started his travel to the mountain. He saw a beetle in a river stream, while crossing a bridge. Although it was getting delayed, he helped the beetle to climb using his tail. He helped a rabbit in finding his glove. Later, he helped the ants to fix their door on his way to the mountain. Although he was worried about getting late to the contest, he never ignored anyone. Bubu was helping everyone! As he reached the competition spot, he saw everyone left and the contest was over. There were broken arrows, target boards and swords spread all over place. Bubu was very sad as he couldn’t see his favorite heroes and participate in the competition. Suddenly, the magician owl named Baron appeared! What happened to Bubu then? Who won the Hero of the Mountain title from the magician? Read the story. The interesting and more attractive part of the story is the images. The beautiful and pristine images make the story. 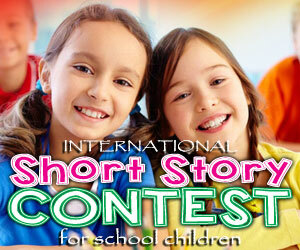 The story is developed with fewer words and vivacious images. Ask your children to form the story by seeing the pictures and they can do it easily! To become a hero, you need not to be strong, powerful, wild and eccentric. Instead of them, humanity, kindness, helping tendency and selflessness is sufficient. Be kind to each other costs you nothing! Kindness is the best thing that you can give to others. Kiddies, learn to love and help others.